Roth annuity income is tax-free. Your individual retirement account shields current income from taxes. You take a tax deduction for contributions to a traditional IRA and pay ordinary taxes on withdrawals. Contributions to a Roth IRA are made with after-tax dollars, but withdrawals are tax-free if you follow Internal Revenue Service rules. You can roll a traditional IRA into an annuity without creating current taxes. You can also roll it into a Roth IRA, pay taxes now and create an annuity that isn't taxable when you receive payments. A qualified annuity is one that exists inside an IRA or qualified employer plan such as a 401(k), 403(b) or 457. All other annuities are nonqualified and you can't roll an IRA into them. You can withdraw the money in your IRA to buy a nonqualified annuity, but you must include the distribution in current taxes unless it stems from a Roth IRA. 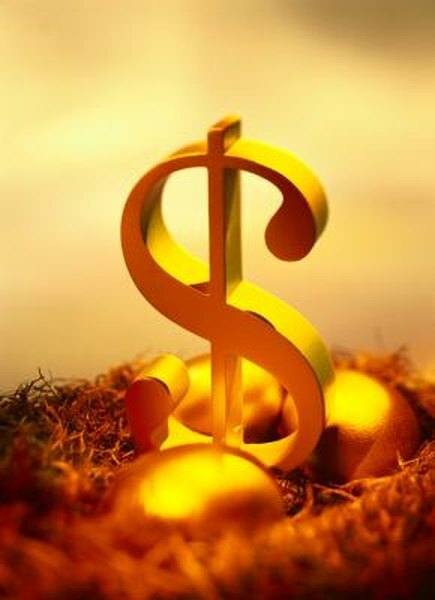 Qualified annuities must meet IRS rules. Your annuity provider -- usually an insurance company --- can't cause you to forfeit your annuity, and you can't transfer it to another person. The annuity premiums must be flexible. If a traditional IRA owns the annuity, you must begin taking payments after age 70 1/2. You can roll your traditional IRA into an IRA annuity without creating current taxable income. You'll treat the annuity payments you eventually receive as taxable income. You can arrange a trustee-to-trustee transfer or you can withdraw the money and roll it into a separate IRA annuity. If you take the withdrawal route, you have 60 days to complete the rollover or the IRS will tax you on the distribution. If you're younger than 59 1/2, the IRS will also sock you with a 10 percent penalty for early withdrawal. If you don't start taking annuity payments by April 1 of the year following the one you reach 70 1/2, the IRS will slap a 50 percent excise tax on the part you should have taken out. You can roll your traditional IRA into a Roth annuity, which is a qualified annuity inside your Roth IRA. You must include the rollover amount in your taxable income. You can perform a trustee-to-trustee transfer or your own rollover. Because you’ve already paid the tax on the money going into the annuity, the payments you receive are nontaxable. That means any growth of your annuity's cash value stemming from interest or investment income is tax-free. Roth IRAs don't have required minimum distributions, so you can delay the start of annuity payments as long as you want. Once started, the payments continue for a fixed number of years or until you die. If you buy a Roth annuity, you must follow the rules on early withdrawals. If you break the rules, the IRS will tax the part of your payments representing income and hit it with a 10 percent penalty. An early withdrawal occurs when you take out earnings before age 59 1/2 or before the end of the five year period beginning with the rollover. You may qualify for an exception to the penalty, but the IRS strictly enforces the five-year rule. A survivor annuity continues to make the same or different payments to your IRA beneficiaries. If annuity payments stem from an inherited Roth IRA, they are tax-free to your beneficiaries. Bankrate: Avoid Tax by Rolling IRA Into an Annuity? ThinkAdvisor: When Do IRAs and Annuities Mix?